Mississippi could be the answer to your search for that perfect pair of blue jeans. Josh West wrote the business plan for Blue Delta Jean Co. on a napkin over dinner in Tupelo in 2009. He was catching up with a high school buddy, Nick Weaver, from South Pontotoc High School. Weaver and West, both local businessmen, knew they wanted to make something when they got together for dinner that night. When they looked around at the resources and talent in the Tupelo area, there was only one answer. That basic plan – use displaced, local seamstresses, make a quality product made with American-made goods – written on a simple napkin four years ago, has served West, CEO, and Weaver, COO, well as they set up their fledgling business. “We’ve tried to get off that business plan a few times, and every time we’ve fallen on our face. 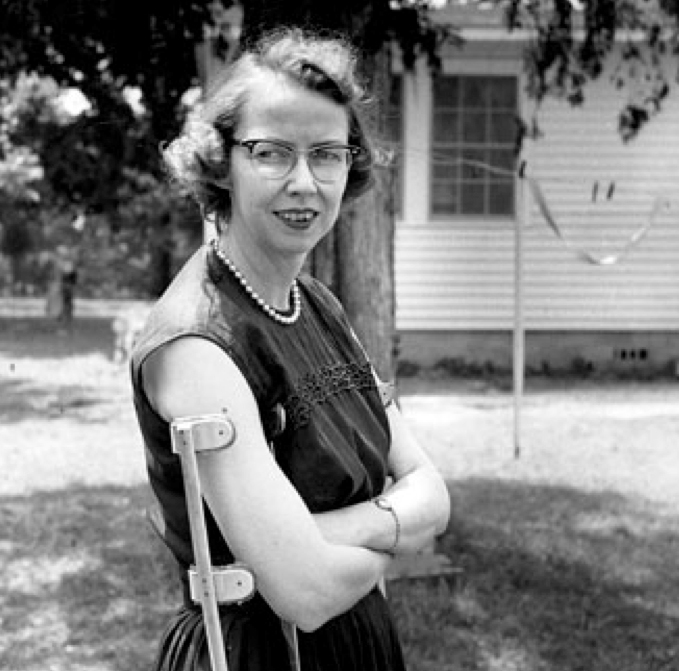 Literally, since that napkin we haven’t deviated at all,” says Weaver, pictured below operating a vintage Reece buttonholer. The plan was about more than making standard blue jeans, though. 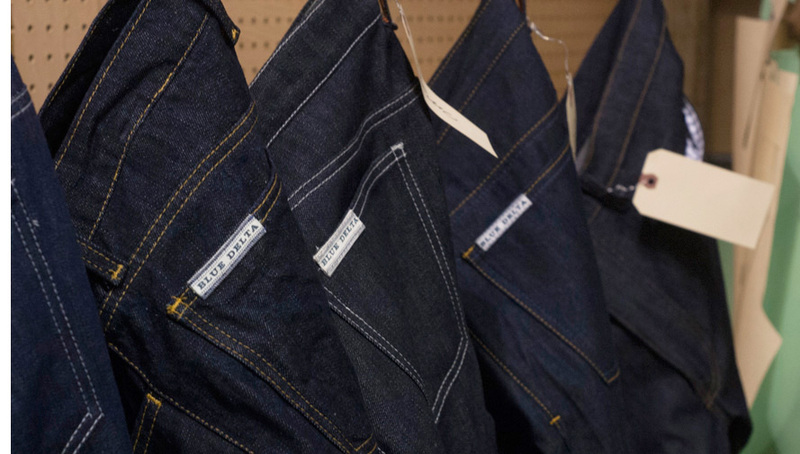 It was about making the highest quality product with the highest chance for customer satisfaction, which is why Blue Delta Jean Co. decided to go with a fully custom approach, as opposed to jeans that could be purchased off the rack. 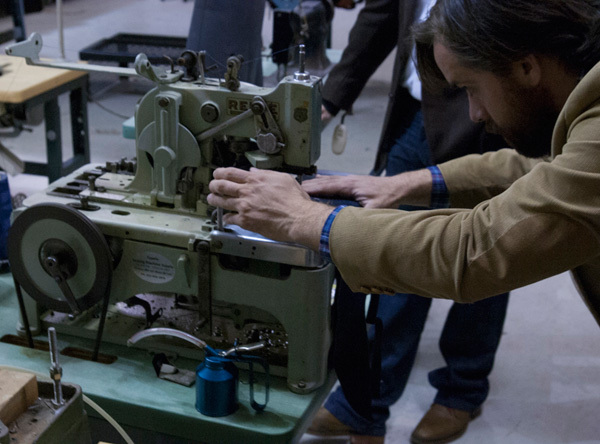 Each pair of Blue Delta Jeans is made specifically for each customer. While there may be some similarities between choices customers make, no two pair of Blue Delta Jeans are exactly alike. The process starts with an eight-point measurement. The folks at Blue Delta measure locals – waist, thigh, rise, leg opening, etc. – in person at their workshop just south of Tupelo in Verona. For far-flung customers, they’ve contracted with Tom James custom clothing to perform measurements. Customers can be measured for Blue Delta Jeans literally anywhere. Blue Delta can also reconstruct the fit of a jean that’s no longer available. Have a beloved pair of beat-up jeans that you can’t find anymore? Send them to Blue Delta and they’ll make you a new one. 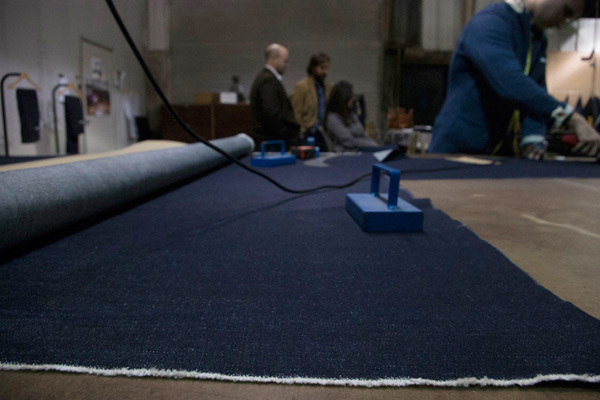 Once a customer has been measured, they can choose options ranging from denim weight (up to 14 oz.) hardware (rivet placement, etc.) and thread theory. 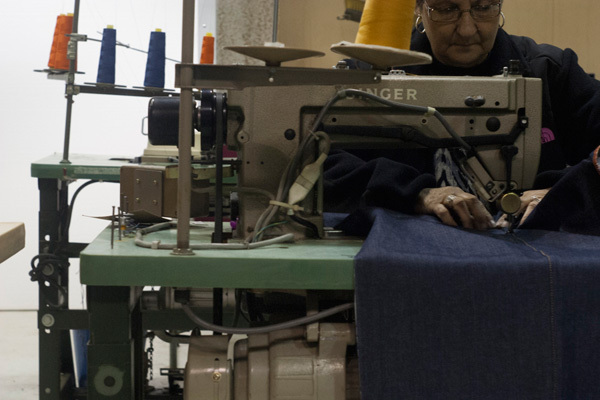 Blue Delta Jean is intent on keeping its product 100 percent made in the USA. They source their denim from the American Cotton Growers in Littlefield, Texas; the cotton is grown within 60 miles of where it’s milled into denim. Blue Delta’s team of experienced designers and seamstresses take over once measurements have been done and thread colors chosen. Johnson Benjamin, lead designer and production manager, comes from a family steeped in the denim industry. A third- generation garment worker, Benjamin’s grandfather, Smith Benjamin, worked in quality control for Levi’s in the southeast. Sarah Richey, lead seamstress (pictured below), has 36 years of experience sewing denim. She worked at Lucky Star, a Levi’s contractor, in nearby Baldwyn before the American granddaddy of denim moved its production overseas. A pair of Blue Delta Jeans is going to run a bit more than your standard Levi’s, but their starting prices are comparable to some high-fashion denim made for generic body types with substandard materials. With Blue Delta, you’re not only buying a pair of jeans made specifically for your body, you’re buying a product made by American workers or, more specifically, Mississippi folks. It’s this devotion to quality and local production that has won Blue Delta fans from as far away as San Francisco and Seattle. Blue Delta’s path since that napkin hasn’t been without its trials. “When we first bought the sewing machines, we turned them on and we thought that meant they worked,” Weaver says about purchasing the notoriously finicky vintage sewing machines so many start-up denim companies make their products on. They eventually got their machines up and running and made what West describes as “a few pairs of awful jeans” before they arrived at the product they have today. That product is a classic pair of American-made five pocket jeans fit to your specifications in northeast Mississippi. It just might be about the best idea scribbled on a napkin in a long time. Schedule a fitting for your own pair of Blue Delta Jeans by calling 888-963-7879 or visiting bluedeltajeans.com. 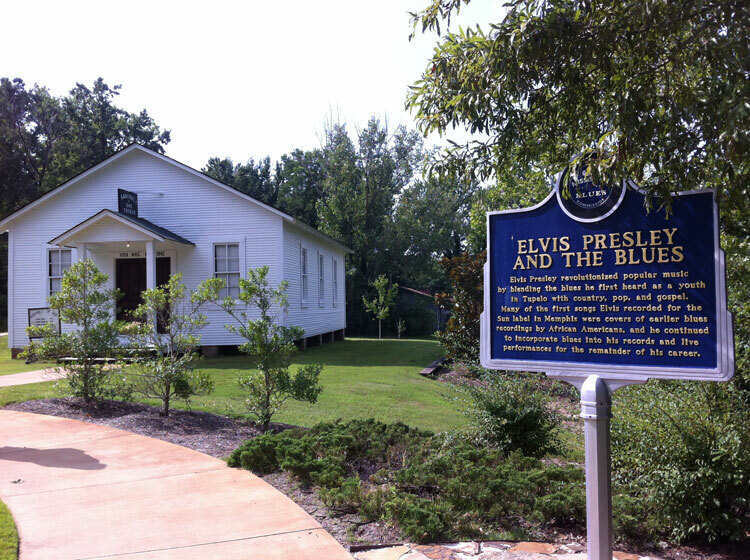 After getting fitted, you might as well check out what else Tupelo – the birthplace of Elvis Presley – has to offer. Main Street downtown has new retail shops and restaurants popping up, and the town’s annual Elvis Festival takes place in June. Make your own napkin notes at Kermit’s Outlaw Kitchen, Tupelo’s newest farm-to-table restaurant on Main Street. Order the vegetable plate for a taste of what’s in season and wash it down with a local brew from Yazoo Brewing. Greg recommends The Neon Pig on Gloster Street for the Smash Burger with Benton’s Bacon and 20-month cured ham, cheddar, pickles, onion and hoisin sauce on ciabatta bread. There’s also grilled cheese from Sweetgrass Dairy with more Benton’s Bacon of course. Walk if off with a stroll down Main Street and be sure to stop into Tupelo Hardware, where Elvis bought his first guitar, Caron Gallery specializing in Mississippi artists, and About the South, a new gift shop opening later this month. 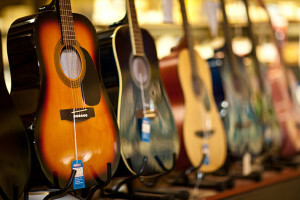 If it’s events you’re looking for, Art Rocks Tupelo is scheduled for March 20-23 and the Tupelo Elvis Festival June 5-8, with the Ultimate Elvis Tribute Artist Competition, plenty of live music and a Sunday gospel brunch. 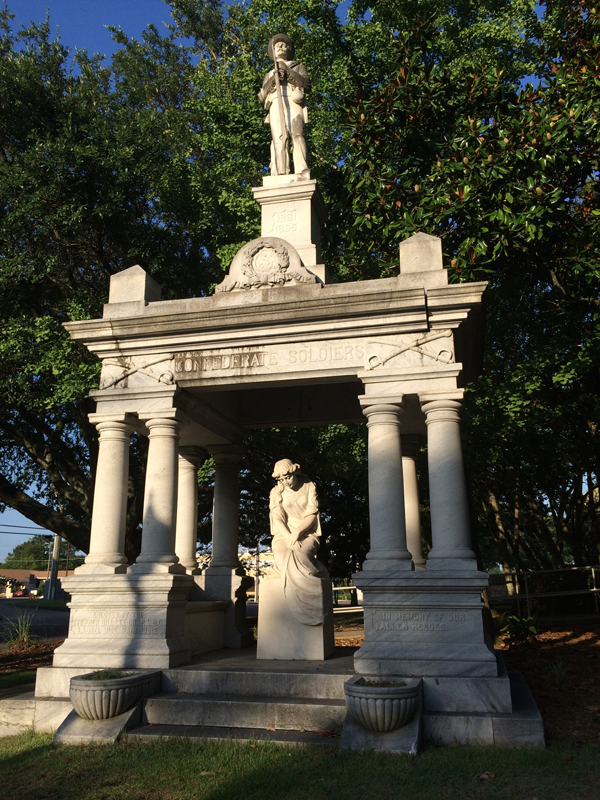 For more on visiting Tupelo, check out Getaways for Grownups’ “quick stop” there overnight. 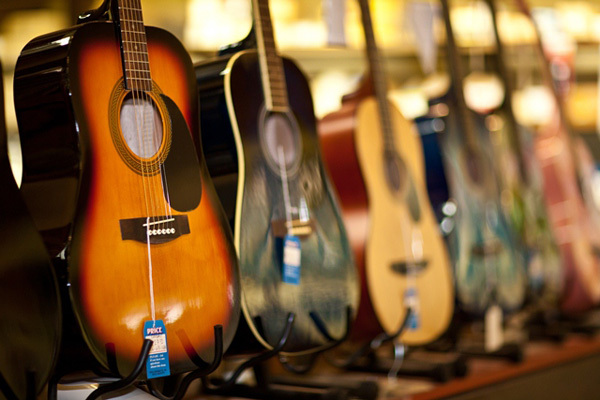 Photo Credit: Guitars at Tupelo Hardware courtesy of the Tupelo Convention and Visitors Bureau. Greg Houser is a graduate student in creative writing at the University of Alabama. He has fiction forthcoming in Broken Pencil and wrote “Get Up” for the Alabama Shakes in November. My 5′ 9” daughter needs jeans that actually fit! She is thin and wears Hollister. They are almost long enough.